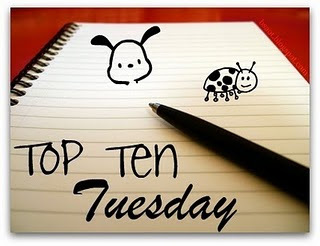 A Literary Odyssey: Top Ten Tuesday: Top Ten Authors I Would DIE to meet . GREAT choices! I think I'd have questions for all of these folks. I'm still irritated with myself for forgetting Shakespeare! But all those authors are pretty much amazing :). Great choices! Wharton and Vonnegut would definitely be on my list too. They both seem like they would have such interesting thoughts and stories. Great choices. It is so hard to answer the question of what they would think of their fame now. I sometimes wonder if the appreciate or agree with today's interpretation of their work. Maybe what they would think would depend on that. Vonnegut is definitely on my list as well, as is Rowling, Bradbury, Tolstoy, Dickinson, Dostoyevsky, Alcott, the Bronte sisters, and Dahl. I know some of them are poets but they're just as inspirational. And now I have even more ideas walking into my head. This is hard! Ugh I forgot about Virginia Woolf! Great list! I also tried sticking with the ones no longer living. I've always wanted to know what they thought about their longevity and that their books are still assigned in classes, esp for Jane Austen. Woolf and Wharton are on my list as well! Great choices! I cannot believe that I left Shakespeare off my list! Epic Fail on my part. I do love your list though.